The RSD Ramone Perforated Vest is a no frills staple that every rider should have in their gear arsenal. With its classic styling, the Ramone features laser perforated waxed cotton panels that provide airflow while maintaining the tensile strength and abrasion resistance of the material. The perforated panels are strategically placed for optimal cooling. 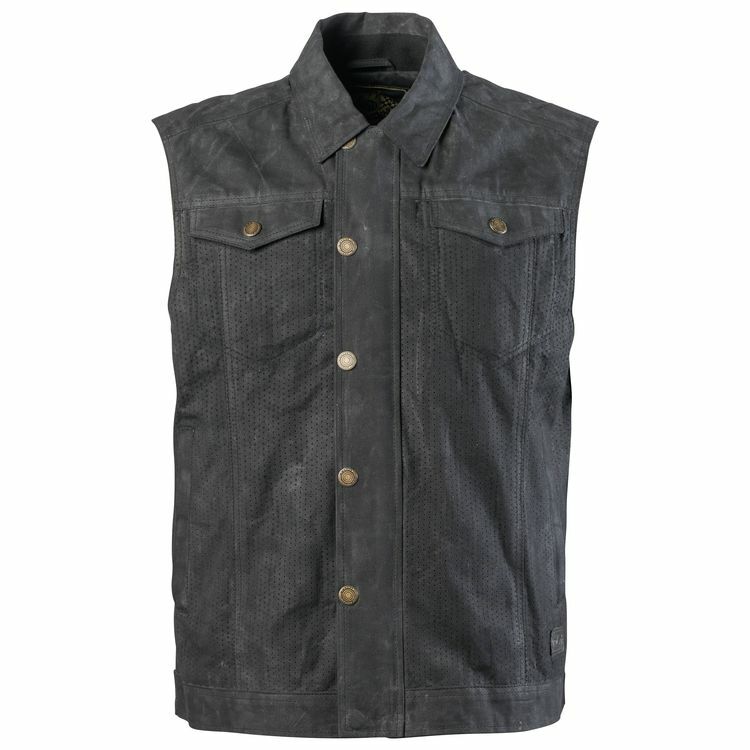 The Roland Sands Ramone Vest is perfect for layering or as a stand alone piece on those hot summer days on the road.